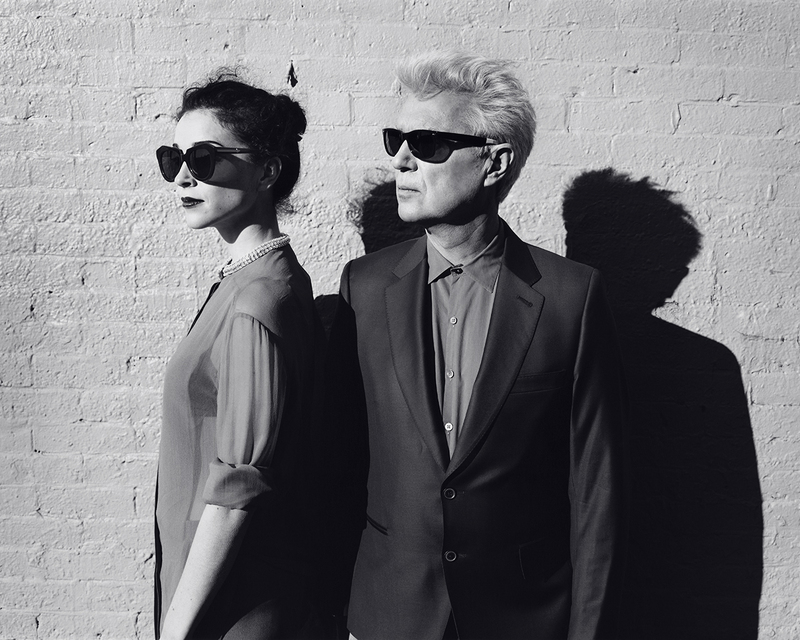 I’m not sure what I was expecting when I heard that David Byrne and St. Vincent had gotten together and made an album. I just knew that I had to hear it. A few months back I got on a Talking Heads-kick, so I was interested to find out if Byrne still had it. And my it I mean: a propensity for the tasteful, the odd, and the tastefully-odd. The Talking Heads were cultural anthropologists masquerading as a strange-sounding band. It’s kind of a miracle to me that they were even popular in the 1980’s. When I was revisiting their hits like “Burning Down The House,” “Wild Wild Life,” and the sublimely weird “Once In A Lifetime*,” I was struck by how un-pop The Talking Heads were. That they played on the radio along side Cyndi Lauper and Bruce Springsteen is utterly amazing to me. Surely, I thought to myself before listening to “Who,” old-man Byrne has mellowed with age. Well fear not purveyors of all things freaky, David Byrne is still really strange. I don’t really know much about St. Vincent except that she’s an indie-darling with a weird name who’s supposedly a really good guitar player. Instead of being the chirpy song-bird I thought she was, I discovered that St. Vincent is more of a mysterious siren (color me curious about her solo-work). Byrne and St. Vincent’s future so bright…they gotta wear shades. The first song on LOVE THIS GIANT, “Who” is also the lead single. It’s a daft and loopy number, built almost entirely around horns and thumping drums (so much for St. Vincent’s guitar work). Lyrically, “Who” is a series of semi-profound questions posed by Byrne, which is beautifully answered a single chorus from St. Vincent: “Who is an honest man?” It’s brilliant, catchy, auteur-pop that reminds me of fellow 80’s-freak Peter Gabriel’s solo-work. LOVE THIS GIANT is a fantastic collaborative effort between the two artists, but “Who” is Bryne’s baby. This one wormed it’s way into my heart, give it a listen and see if it doesn’t do the same to you. Turns out Byrne still has it. *A song that I desperately need to analyze in a post all-to itself.